BrewMasters Craft Beer Fest This sixth annual fest has 400+ craft brews at various venues around the island. Don’t miss the BrewLicious Brews & Foods Pairing and the BrewHaHa Grand Tasting. BrewMasters Craft Beer Fest Galveston Island This sixth annual fest has 400+ craft brews at various venues around the island. Don’t miss the BrewLicious Brews & Foods Pairing and the BrewHaHa Grand Tasting. Magnolia City: An Immersive Murder Mystery dinner & show Go back to a time when gangsters and bootleg booze ruled the city, as you sip, mingle, and look for clues to piece together an intricate “who done it.” $35 will get you into the show, with a family-style dinner for an additional $45. 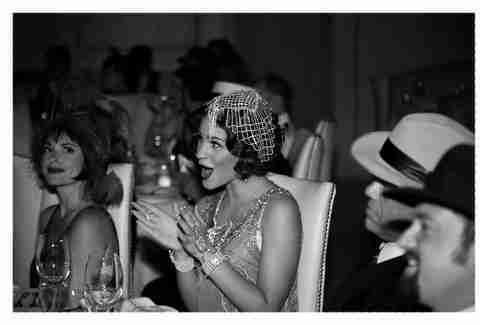 Magnolia City: An Immersive Murder Mystery dinner & show Prohibition Supperclub & Bar Go back to a time when gangsters and bootleg booze ruled the city, as you sip, mingle, and look for clues to piece together an intricate “who done it.” $35 will get you into the show, with a family-style dinner for an additional $45. blanket bingo Bring a blanket or lawn chair to the park to show off your excellent bingo skills. Bring at least $10 for a packet. Extra games and daubers are $1 each. 6-9pm. 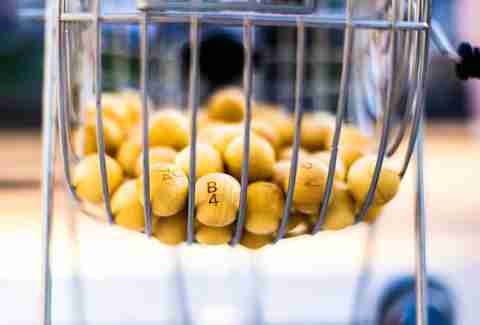 Bingo begins at 7.
blanket bingo Market Square Park Bring a blanket or lawn chair to the park to show off your excellent bingo skills. Bring at least $10 for a packet. Extra games and daubers are $1 each. 6-9pm. Bingo begins at 7. Texas Gatorfest Airboats, alligators, live music, and beer. Could a festival get any better? Texas Gatorfest Fort Anahuac Park Airboats, alligators, live music, and beer. Could a festival get any better? 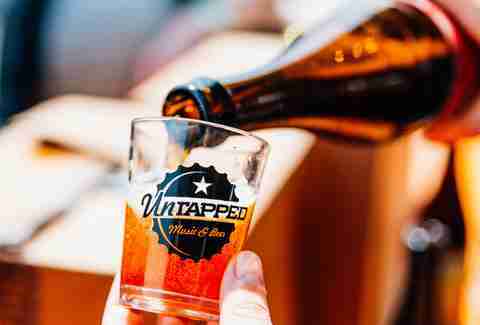 Untapped Houston Craft beer and music rule this festival, which features 70-plus breweries, 275-plus beers, and live music from dope bands like Cold War Kids, Twin Shadow, and Deer Tick. Untapped Houston Discovery Green Craft beer and music rule this festival, which features 70-plus breweries, 275-plus beers, and live music from dope bands like Cold War Kids, Twin Shadow, and Deer Tick. 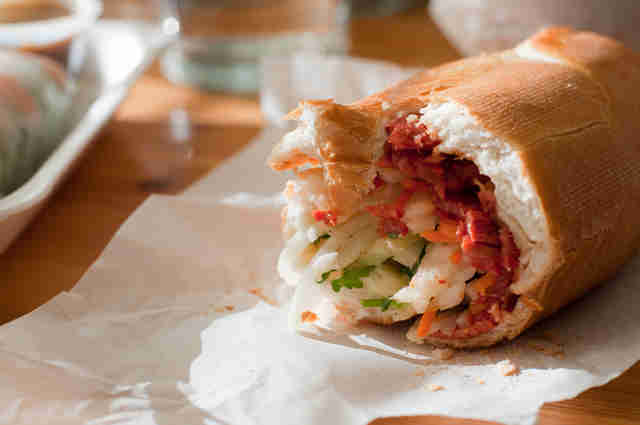 The Great Banh Mi Cook-Off Local chefs are bringing their banh mi A game. The least you can do is bring an appetite. Tickets are $30/pp (or $25 for groups). The Great Banh Mi Cook-Off Lambo Ballroom Local chefs are bringing their banh mi A game. The least you can do is bring an appetite. Tickets are $30/pp (or $25 for groups). Dog Days at Discovery Green Bring Fido for a three-day doggy fiesta, where you’ll see canine athletes from Texas, Oklahoma, and Louisiana doing all kinds of stuff your dog definitely can’t do. Dog Days at Discovery Green Discovery Green Bring Fido for a three-day doggy fiesta, where you’ll see canine athletes from Texas, Oklahoma, and Louisiana doing all kinds of stuff your dog definitely can’t do. 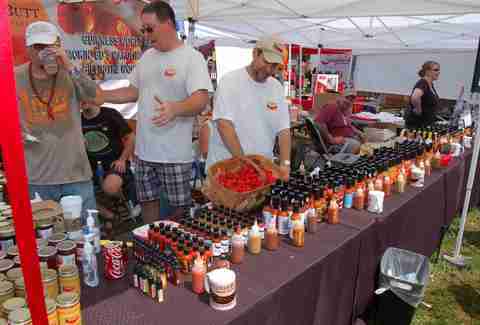 Hot Sauce Fest Mouth-numbing hot sauces, salsas, marinades, rubs, pickled products, jams, and dips are alllll at this fiery festival. Thankfully, so is beer. Hot Sauce Fest Stafford Centre Mouth-numbing hot sauces, salsas, marinades, rubs, pickled products, jams, and dips are alllll at this fiery festival. Thankfully, so is beer. Puerto Rican & Cuban Festival Hit Tranquility Park for live music and dance, artstuffs, a car show, and authentic Puerto Rican, Cuban, and Dominican eats. Puerto Rican & Cuban Festival Tranquility Park Hit Tranquility Park for live music and dance, artstuffs, a car show, and authentic Puerto Rican, Cuban, and Dominican eats. 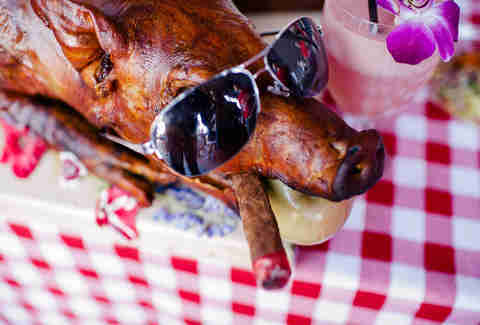 GO PIG OR GO HOME Get all kinds of pork sweats at this fourth annual suckling pig showdown, where chefs like Randy Rucker (Bramble), Adam Dorris (Pax Americana), and Rebecca Masson (Fluff Bake Bar) face off to put out the best plate of pig. GO PIG OR GO HOME 8th Wonder Brewery Get all kinds of pork sweats at this fourth annual suckling pig showdown, where chefs like Randy Rucker (Bramble), Adam Dorris (Pax Americana), and Rebecca Masson (Fluff Bake Bar) face off to put out the best plate of pig. Houston Texans' Running of the Bulls The 5K run/walk features the Houston Texans cheerleaders, the Deep Steel Thunder band, and a post-race party on the floor of NRG Stadium. Houston Texans' Running of the Bulls NRG Stadium The 5K run/walk features the Houston Texans cheerleaders, the Deep Steel Thunder band, and a post-race party on the floor of NRG Stadium. Galveston Island Shrimp Festival Three days of shrimp, gumbo, and live music = three days of fun. Galveston Island Shrimp Festival Historic Strand District Three days of shrimp, gumbo, and live music = three days of fun. Kemah Craft Beer Festival Not only will you find plenty of craft beers samples, but you’ll also find live country music and armadillo races. Long live Texas! Kemah Craft Beer Festival Kemah Boardwalk Not only will you find plenty of craft beers samples, but you’ll also find live country music and armadillo races. Long live Texas! 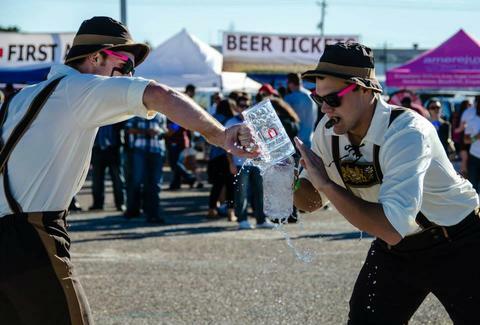 Oktoberfest Houston Hope you’ve honed your Das Boot skills in the offseason. 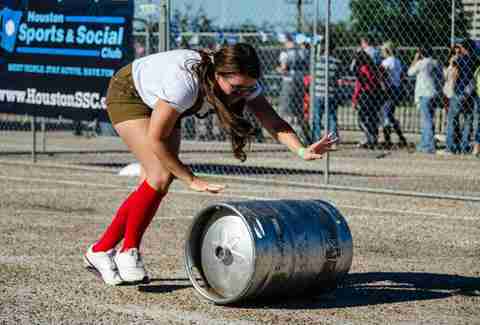 Because you’re about to partake in a full lineup of German brews and Olympiad games, including a stein race, barrel roll, and brat toss. Oktoberfest Houston Northwest Mall Hope you’ve honed your Das Boot skills in the offseason. Because you’re about to partake in a full lineup of German brews and Olympiad games, including a stein race, barrel roll, and brat toss. Houston Taste of the Nation Over 40 of Houston's most notorious chefs and mixologists are donating their time, talent, and passion with one goal in mind: to raise the critical funds needed to end childhood hunger in America. Eat all the foods, drink all the drinks, and support a great cause. Tickets are $125 for general admission. Houston Taste of the Nation The Corinthian Over 40 of Houston's most notorious chefs and mixologists are donating their time, talent, and passion with one goal in mind: to raise the critical funds needed to end childhood hunger in America. Eat all the foods, drink all the drinks, and support a great cause. Tickets are $125 for general admission.